The Long Island Iced Tea is one of the all-time greats. It’s a stealth drink, like the Zombie. It goes down so easy, the high alcohol content sneaks up on you. It’s also a great pre-mixer to make in pitchers and serve at parties. Summertime is an ideal time to serve the Long Island Iced Tea, because its taste is reminiscent of iced tea even though there’s no tea in it at all. 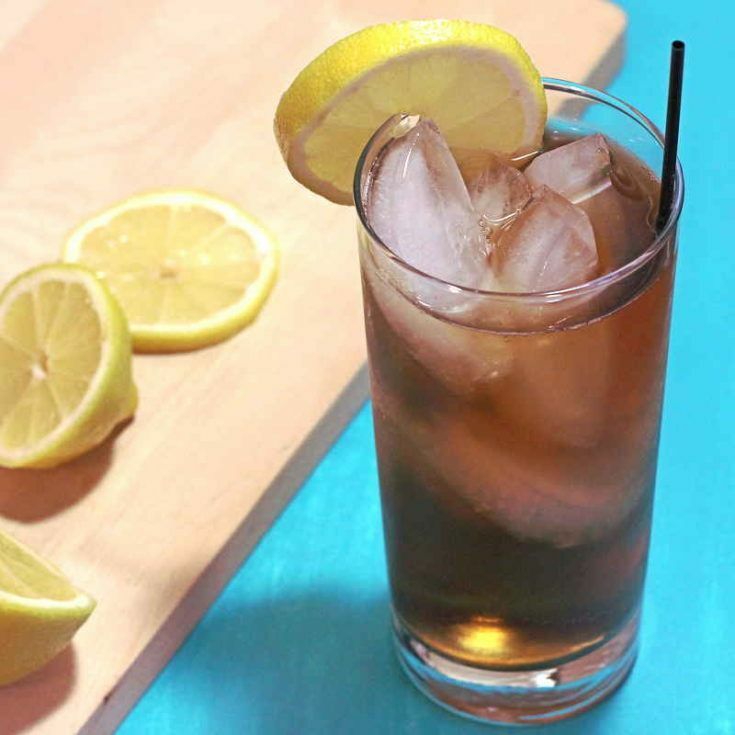 The Long Island Iced Tea features cola, all the white liquors, Triple Sec and lemon juice. It mostly tastes like a cola with orange and lemon juice added. But with three ounces of liquors plus a liqueur in this drink, it can sneak up on you. You don’t taste it so much when you’re drinking it, so it can sneak up on you. Honestly, there is no reason why this drink needs four different white liquors. If you’ve had one of these cocktails sneak up on you and embarrass you in the past, feel absolutely free to revise the recipe. It’s not as if you can taste whether it has any tequila, gin or rum in it – and you certainly can’t taste the vodka. So pick your favorite of the white liquors, toss in one and a half ounces of it, and that makes it into a more or less standard cocktail. 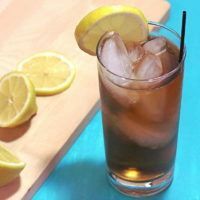 The Long Island Iced Tea tastes like cola with lemon and orange flavoring added, but it hides a powerful wallop of alcohol that can sneak up on you. This drink is delicious and refreshing, but don't plan on driving anytime soon after consuming one. Add the vodka, rum, tequila, gin, Triple Sec, and lemon juice. Shake it vigorously until the shaker gets frosty on the outside. Pour into a highball glass and top it off with cola. Garnish with lemon wedges or drop some lemon rounds into it, and serve. This brings back memories. In my much younger days, I ordered one of these at a business lunch, thinking it sounded sophisticated. I felt fine during lunch, but when I stood up to leave, I almost fell over. I might try your suggestion of using just the standard amount of liquor instead of what the recipe calls for.